Some have claimed Christianity valued them more than their pagan forebears. In fact the reverse is the case. And this difference in values had a catastrophic effect on the future of humanity. 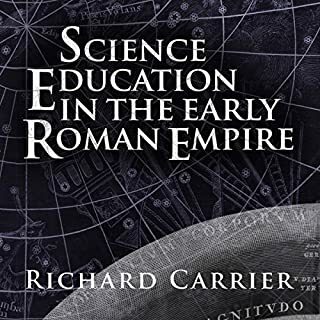 The Romans may have been just a century or two away from experiencing a scientific revolution. 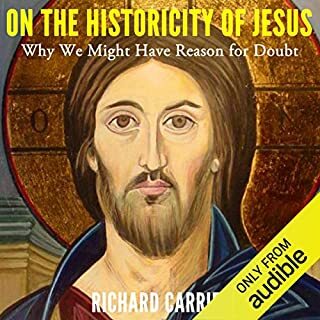 But once in power, Christianity kept that progress on hold for a thousand years - while forgetting most of what the pagans had achieved and discovered, from an empirical anatomy, physiology, and brain science to an experimental physics of water, gravity, and air. Thoroughly referenced and painstakingly researched, this volume is a must for anyone who wants to learn how far we once got, and why we took so long to get to where we are today. Well written and well performed like his other books. 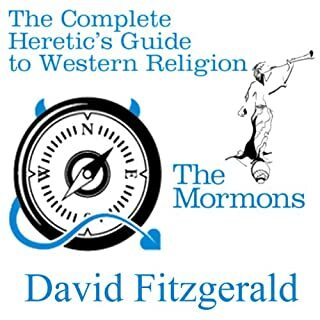 He shows a lot of examples from pagans and Christian sources showing the different views on science and the championing of ignorance over knowledge among the christians. I really like the way he exposes massive religious written hostility to the pursuit of actual knowledge, using every book that discusses it. 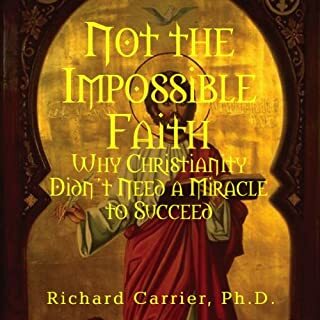 This book, by Richard Carrier, is a bombshell. 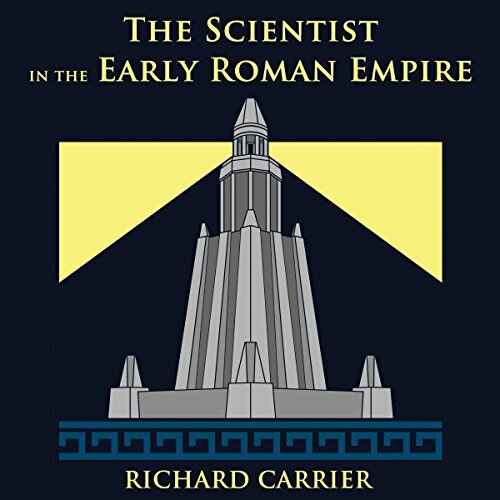 Not only does Carrier correct the common view that Greek and Roman scientists ignored empirical research, but he explains why humanity lost one thousand years of scientific progress. The belief in modern times that the Roman Empire was a static society is nearly universal. Even French Political Economist Thomas Piketty in his best seller, Capital, alleges that there was no substantial economic growth in Roman times or in any other ancient society. Carrier shows that there were a great many scientists working in a variety of fields who improved on the theories of earlier scientists. Their work was highly regarded and included the esteem of rulers of Hellenistic states, especially Ptolemaic Egypt. The work of many scientists led to improved inventions by engineers, including a steam engine, a calculating machine or computer, public works such as aqueducts, large public buildings, indoor plumbing and other marvels which were reinvented more than a thousand years later. 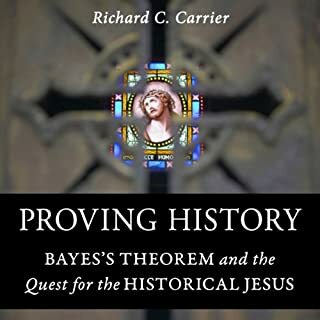 There were several factors that led to the decline of science, says Carrier, but foremost was consolidation of power by Christianity, which was hostile to knowledge gained through experimentation and logical thinking. Beginning in the 3rd Century CE, until more than a thousand years later, there was virtually no scientific development. Where would society be today had it not been for this long scientific dark age? Perhaps our level of scientific development would now be what we expect it to be in 3,000 CE. For the most part, not even sci-fi books and movies speculate that far in the future. Would we have immortality, hundreds of worlds to live on, instantaneous travel? Most likely we can’t even imagine what ever-advancing science will bring us. If science-hating Christians had remained a small cult, instead of rulers of the western world, we likely would have been spared our thousand years of ignorance. Would science have continued marching forward? For instance, would we have discovered flight and built airplanes in 1003 CE, instead of 1903? 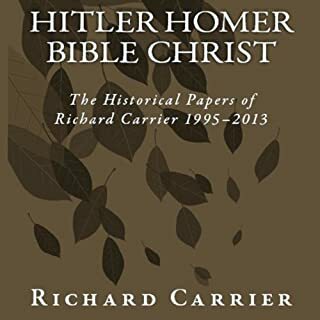 Perhaps Carrier, or other historians, would like to make a thorough scientific study of what we lost when this authoritarian cult gained control of peoples’ minds.